There will be no vote tonight on the tax "reform" bill. The decision by GOP leadership to skip a late-night session on Thursday comes as deficit hawks, led by Sen. Bob Corker (R-Tenn.), push for a guarantee that the Senate tax legislation won't increase the deficit, reports The Hill. The Corker "guarantee" takes the form of a trigger which would eliminate many of the cuts in the already horrific scam of a bill if the deficit increases--which it surely will do. 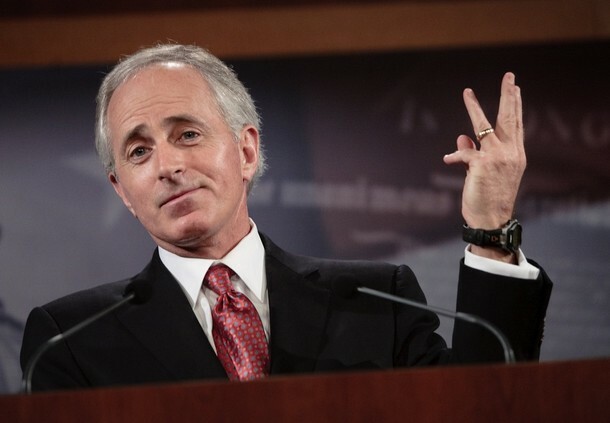 I am no fan of the trigger, nor of Corker, but if the trigger demand allows Corker to continue to harass in the Senate until the bill dies, well then I am all for Corker to continue to poke and grab. Just love the term "Deficit Hawk". As though these guys have ever done anything to actual eliminate the deficit.